Silver cross with a classic look, made of silver with a very nice glow. Perfect for a gift for the f..
Silver cross with an eagle with a classic look, made of silver with a very nice glow. Beautiful and ..
Silver male cross with the motif of an eagle in a crown, with inscriptions embossed on the shoulders..
Silver cross with a gilded image of Jesus, made of 925 silver with a very nice glow. Perfect for a g..
Silver medal with the image of Our Lady of Czestochowa, made of silver with a very nice glow. M..
Silver round medal with the image of Our Lady of Czestochowa, made of silver with a very nice glow. ..
Silver medal with the image of Our Lady of Ostra Brama, made of silver with a very nice glow. 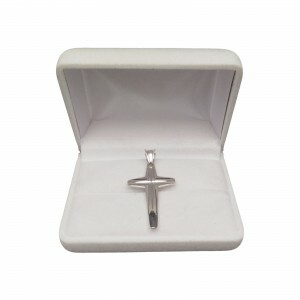 M..
Silver cross rhodium with the image of Jesus with a classic look, made of silver rhodium with a very..